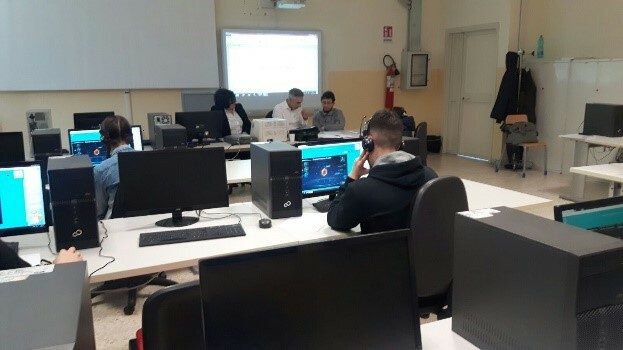 The Small Scale Pilot “Atomic Structure” was experimented by some learners at “Santa Caterina-Amendola” Institute on March 15. They interacted with a Virtual Lab for learning concepts associated with the atomic structure. Different innovative pedagogies were applied to engage and motivate learners in STEM subjects through self-directed learning, inquiry-based learning, personalisation and adaptation. Firstly, learners took charge of their own learning by answering to questions about their self-directedness, confidence and self-efficacy. The level of difficulty and amount of independent study were defined by the student’s score. Secondly, learners had a chance to explore and try out their new skills. In the virtual lab, specific component builders allowed learners to apply their newly learnt knowledge on the structure of the atoms, isotopes and molecules . 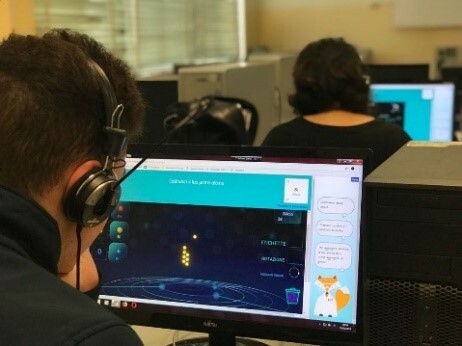 Finally, learners earned badges and receive personalized feedbacks according to their actions on Virtual Lab, following the typical paradigm of Game-based learning.